Has anyone else had a problem getting the return of a deposit on a condo rental?? After many months, I still cannont get the owners to return the $300 deposit or give me an accounting of the reason for not returning it. I had not considered the legal issue as I dont seem to have any way to legally require it. My first experience with a request for a deposit and with owners I had dealt with for several years. I just wondered if this was experienced and would warn others to consider the issues with getting that deposit back . 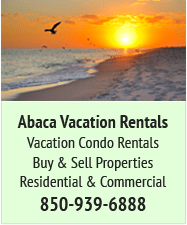 Do you have a copy of the signed rental agreement? And if so what is the wording regarding the return of your deposit? What did the rental people say when you requested your deposit refund? 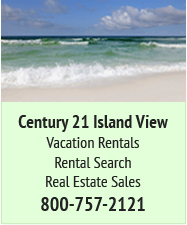 Our experience of rental at Navarre has only been via Century 21 and officially speaking deposits are non-returnable. I can't comment about anyone doing a rental directly from an owner, but any good business owner would have this covered in the original contract or web site conditions. My bad,, no rental aggrement except thru VBRO. It is the same condo we have rented for several years ,, same owners. Just this year they were requesting a deposit due to the younger son being in charge of rental business now. I only have email and it says the return will be due after inspection after we leave. They are charging me for not runing the dishwasher the last time and a few scuffs on the wall from the wheelchair. I am good with that but they also said there was ? "damage". No description and now no further response when I have repeatedly requested by phone and email a statement or return of money. You might want to send the owner an email where you ask for a complete itemized statement for each item where they claim damage and request that they attach photos for verification. If you don't receive a favorable explanation your next step is to inform the owner by email that you are going to file a complaint with VRBO. Stay persistent and you may receive a full refund of your deposit. At this point I would not call them. To establish an evidentiary foundation send them email requests or better yet send them a Cerified Letter. This may make the ownerr think that you are about to turn this over to an attorney. This normally encourages the owner to do the right thing. After a few weeks with still no success you then send them another Certified Letter giving them a 10 Day Notice of Demand to give you a full refund or you will turn the matter over to your attorney. You do this even if you have no plans to involve your attorney. To All Renters: Under no circumstances should you ever rent a condo or beach house without a signed rental agreement by both parties. PERIOD! I have sent numerous emails,,,, and have mentioned legal action. That brought about a statement from the son that since I was going to dispute,, he could not communicate with me any longer. I have sent a letter to the parents, owners, no answer. Both phones have voice mail that is full and will not accept messages. And VBRO will not accept a complaint ,, only on the quality of the stay ,, not on monetary matters. I am probably out the money,, but I will try the certified letter before I give up. GREAT DAY GREAT FISH GREAT BEACH !!!! i would like to know who it is now. Wouldn't want the same experience that you have had. Can't imagine how frustrated you must feel. Is great suggestion to post on Facebook and all forums. Its a condo at the Regency,, dont want to share names yet. Just beware,, if a deposit is requested in ADDITION to the rental fee,, get some signatures on the agreement. FIrst time this was requested and since I had rented from this family before,, I was not hesitant. They had double booked me once before several years back but I didnt think that was significant,, maybe the son telling his mother 2yrs ago he didnt want to rent to us again was. Live and learn. Sorry to hear this. We have used VRBO many times and stayed at the Regency on those occasions and never had a problem. Hopefully you will get this worked out to your satisfaction. 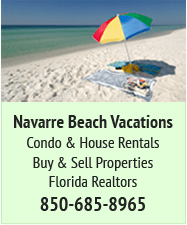 there are several local rental companies that have used in Navarre with a lot of success. I believe it's Mermaid Mansions and the Local Century 21. They both had local phone numbers and gave suggestions depending on our needs. Recommend them both. 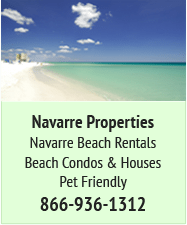 I have also used Navarre Beach properties and Wyndham very happy with them as well. try these in the future! my seal of approval for what it's worth. Would it be possible to postdate your check deposit 'till the day you arrive. 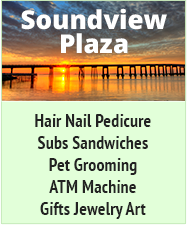 Being a previous condo owner where I rented the largest 2 bedroom condo on the emerald coast for 10 years, I would have under no circumstances accepted a post dated check as a deposit upon a renter's arrival. To agree to this would have labelled me as an absolute idiot. No owner or rental agency with an IQ over 30 is going to do this either. To do so would mean the owner or rental agency would have no guarantee that the renter will even show up. Why even require reservations? Look folks the real issue here is that if you don't enter into an agreement with both the owner or rental agency that stipulates the terms of the deposit and it's refund, you have a real big problem.